At Timewell, we don’t just sell HDPE drainage pipe. We’ve got you covered with a full line of drainage fittings, accessories and everything you will need for your next project. Those accessories includes top of the line tile trailers. 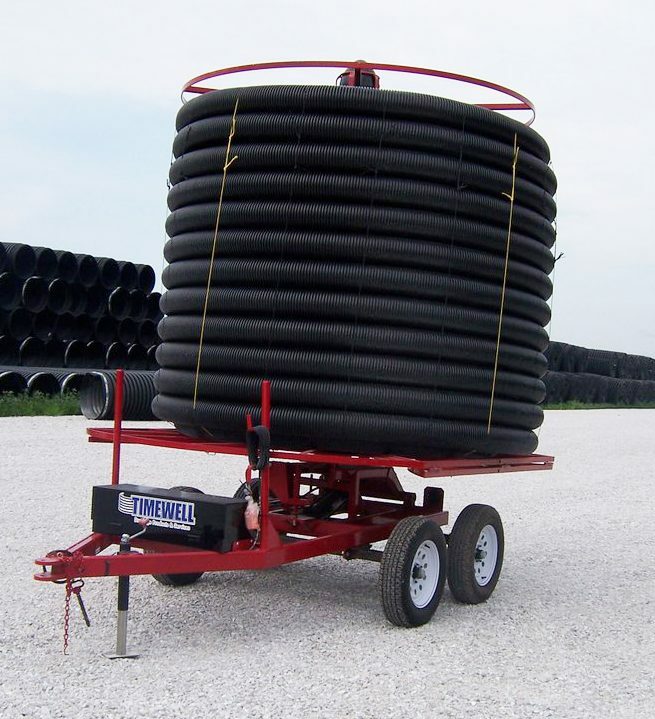 These maxi stringing trailers are durable enough to withstand your tough drainage projects. For more efficient and safer loading, you need the Auto Hat stringing trailer. With the same strength and durability, the Auto Hat model features a patent pending hands-free loading system. It is plumbed for tractor hydraulics and loading can be done by a single person from the cab of the tractor. For more information contact your local Timewell territory sales manager.